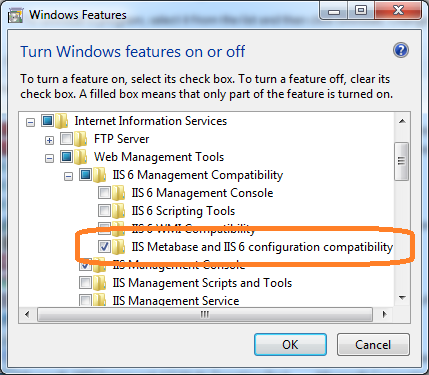 2) If that fails you may have a corrupt metabase.xml file in the system32\inetsrv folder. First rename the current metabase.xml file in this folder. Copy a previous version of that file that is from a date when Ektron Windows Service starts were working from the below directory into the \Inetsrv folder. Attempt a restart of the Ektron Windows Service and check to see that the service started successfully.